I like to throw in some recovery-related posts here and there, and it dawned on me that I’ve posted about being actively addicted and then not actively addicted, but nothing really about what I’ve done to maintain that cessation. Relapse is a huge part of addiction, and many people I know have relapsed with both positive and negative results. It’s been eight years for me and thankfully relapse isn’t a part of my story. I owe a lot of that to the people who helped me early in recovery and my own understanding that the bottom I hit was it for me. I didn’t want to go back there, despite how enticing (and easy) it would have been. 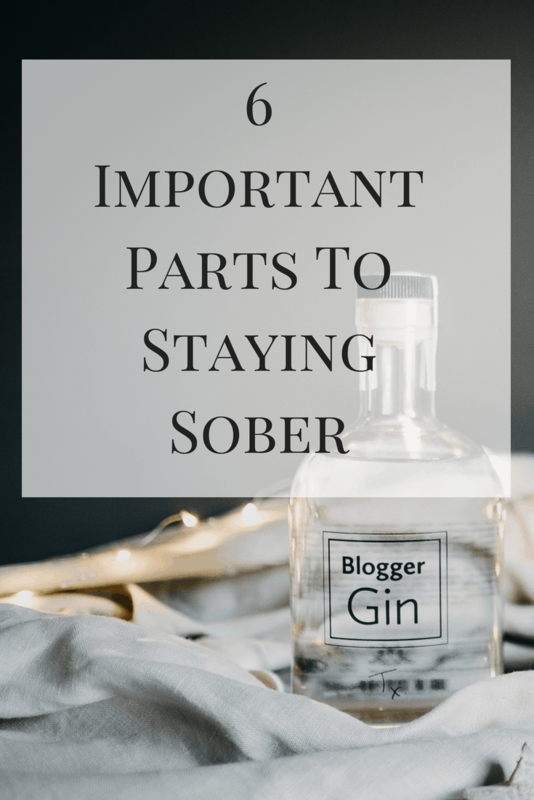 Here are six important parts to staying sober for me. First off, I changed a lot of what my life consisted of, which really didn’t take much. Previously, I was living alone and used alone. I changed the people I hung out with by actually adding more, not subtracting. My drug connections were 90 min away, so it wasn’t like I saw them regularly. I started to hang out with people I met in rehab and 12-step meetings who served as a positive influence on my life. (Let it be said that not everyone in those places is ready to change; be particular with who you choose to include in your life). The same people, places, and things can be a big part of relapse, so it was important for me to make different associations than what I had known while using. Not long after we started dating, I went with Neil on a work trip to Baltimore where we stayed for two weeks. Initially, I was terrified and stayed in our hotel for most of it. The thought of being so close to where I used to score drugs made me feel sick and paralyzed, even almost two years later. Finally, I decided that I needed to make better memories or it would always haunt me, so I embarked on a new routine of exploring the safer parts of the city during the day. It definitely helped repair that part of my past, but I’m also not super eager to jump back into visiting. Moving from that original apartment to a couple more stops along the way and finally landing here in Chicago helped me from traveling backwards. I am fairly certain that this is the one thing that allowed me to change and overcome everything that I had gone through. Although it was completely opposite of what I was used to, I SLOWLY learned how to talk about what I was feeling. I SLOWLY learned how to ask for help. I SLOWLY learned that it was ok to let someone else in. I started by talking in rehab and then getting a sponsor when I started attending meetings. I surrounded myself with people who wouldn’t let me be silent as much as I wanted to. I realized that the only way to change who I was before was by doing the opposite of what I used to. That meant opening my mouth. It wasn’t until I had five years clean that I ever went to a therapist. One certainly would have been helpful earlier, but I tend to let things get bad before I take action. I started because Neil and I were having issues, then we started going individually as well, and after about a year or two hiatus, I started going back again occasionally to help keep myself in check. If it wasn’t for therapy, I never would have been diagnosed with depression and started the medication that made such a huge difference in my life. There is a lot of patience involved in recovery — patience with results, with others, and especially with yourself. Be graceful. These days if I have a tough day, I’ll ask myself what I need. Maybe that means a day off from the gym, a nap, or extra snuggles with Donut. Learn to go easy on yourself and know that you’re doing the best you can. It became easier for me to talk about things that were going on, but it was another level for me to ask for help when things weren’t going well. It’s something I still struggle with, but without letting someone in and asking for help when things get tough, you might not be able to get there. Pride was a big defect for me and I thought that needing help was a weakness, when in reality we ALL need a little help sometimes. No one can do everything. No one is perfect. Ask for help. I used drugs and alcohol to cope with my inability to feel discomfort. I used them to escape my depression and anxiety. I used them to escape pretty much everything negative or stressful in my life. When they were removed, and before I had learned to deal with my emotions in a healthy way, I simply substituted addictions. My eating became disordered and I abused exercise as a way to escape and change my appearance to one I thought would make me happy. Both became a big problem for me, and one that caused me to seek help in those same recovery communities. These days I know the difference between healthy and unhealthy exercise/eating because I’ve lived both sides. I know when I’m emotionally eating, which isn’t always the end of the world, but it causes me to stop and ask myself what’s going on emotionally. If my body feels tired or sore, I’ll take a rest day rather than push myself to the breaking point. This one is a little more abstract, but I wouldn’t be able to make all the above changes without learning who I am and how I operate. It’s not something that I knew the moment I got clean and it’s still something I learn a little more about each day, but I have a pretty solid grasp on what makes me tick. Without that, it’s hard to know why you might behave certain ways or make certain decisions. Take the time to figure out who you are and what you value, and it will make living life a whole lot easier. Staying clean is more than just stopping. Here are 6 important parts to know. This is a good reminder that although relapse is a possibility, as with any chronic illness, it doesn’t have to be of you manage your disease and make the necessary changes; and don’t expect the “good stuff” over night. Recovery is a process. A message I don’t think is getting out there. Kaitlyn @ Powered by Sass recently posted…GIVEAWAY from Ban.do (Instagram Giveaway)!! !